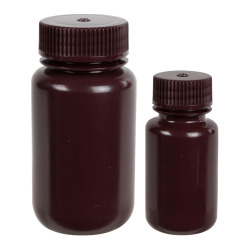 250mL Diamond RealSeal™ Amber Wide Mouth Bottles | U.S. Plastic Corp. 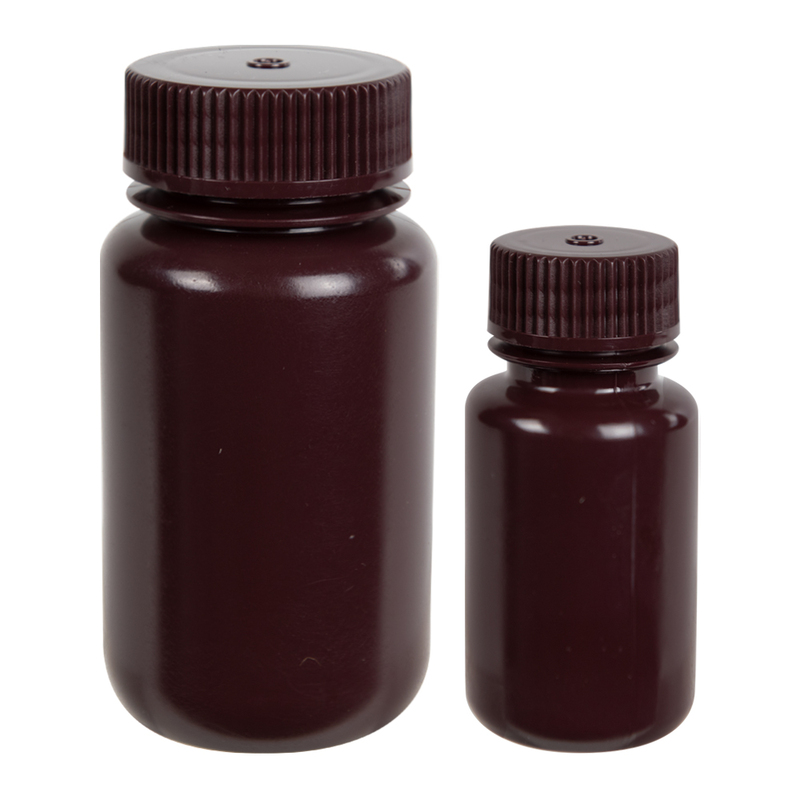 Wide mouth bottles are perfect for sample collection and facilitate rapid filling and emptying of solids, powders, and viscous liquids. Amber bottles reduce UV light transmission to protect light sensitive contents during storage and transport. All Diamond RealSeal™ amber bottles comply with US Pharmacopoeia 23,661 requirements for maximum light transmission. Dimensions: 61mm Dia. x 133mm Hgt.